Television at Christmas is like a table groaning under the weight of cake. Too much all at once. But it isn’t necessarily good cake. And it feels sort of wrong to be offered so much all at once – especially if you have other things to do – when you go so long wishing for worthwhile programmes at other times of the year. And in reality, I have watched less than planned, and the other reality is that I have probably spent more time watching unplanned, old stuff, than the new films and series made specially for the last two weeks. OK, I quite liked Sherlock. Many viewers didn’t, from what I’ve heard. And yes, the scriptwriters do appear to show off, which isn’t always an attractive trait. But shortly before Sherlock, we were eating our dinner in front of the television and simply needed something suitably timed to fit in right then, which is why we watched the second half of The Terminal (all right when you’ve seen the whole film before). I’m tempted to say that Tom Hanks can’t do anything wrong, and that half a Terminal trumped Sherlock. Christmas Day is a busy day without adding visual entertainment, but we obediently sat down and watched the two obvious programmes; Doctor Who and Downton Abbey. As with Sherlock, Doctor Who was fun enough, but not as good as it could or should be. And then it was Downton. Very silly, but oh so enjoyable! And most civilised of them to want to tie every last little thing up, with a happy ending for everyone (except for Matthew’s mothers’ new husband’s daughter-in-law). Downton will be a hard act to follow. I reckon you could find fans to chat to all over the world. Like the Forsyte Saga, maybe, or Dallas. Earlier this summer our holiday viewing consisted of rewatching From the Earth to the Moon. After we accidentally caught a bit of Apollo 13, it felt like the obvious choice, and it was high time we revisited Tom Hanks and his astronauts, training to go to the moon. I’ve said this before and it can be said again; this is one of the best DVD boxes. Ever. I’ll want to watch this many more times. And it’s funny for someone who was around when it happened for real, because you find you get to know these astronauts and all the rest of them from scratch. I used to subscribe to the idea that Apollo 11 was a lovely trio of men doing something great and special. After watching this though, you feel disappointed that Neil Armstrong and Buzz Aldrin were such idiots. Seemingly, anyway. It takes a bit away from that night in July 1969. On the other hand, there are many astronauts I knew little about and whom you come to love. Especially Alan Bean, I reckon. Lovely man. Is it the actors? Or is it the research, where it is now safe to admit to things no one would have mentioned in the 1960s? And speaking of actors, it’s interesting to see the parade of NCIS guest actors donning astronaut gear and looking so much younger. The episode on geology is one I could watch more often than most, even though that sounds like a pretty boring statement. Geology rocks. This part of our summer Daughter and I are catching up on my chronological watching of Rejseholdet/Unit One, which suffered a long delay some time ago. The resident IT Consultant gave up, again, after half an episode, not being able to cope with the Danish soundtrack and Swedish subtitles. As with the astronauts, hindsight now shows us Rejseholdet was first to introduce us to all the actors we have subsequently seen in The Killing, Borgen and The Bridge. The younger Brix was particularly chilling as a sweeter looking but fairly disgusting character. Towards the end, we came upon the episode that was our first. I had no intention of watching anything Danish back then, but we switched on and came in when Gaby enters Fischer’s hotel room after he has been concussed, and then hides in the bathroom while Johnny speaks to Fischer. We had no idea who any of these people were or what was happening, but it took only minutes for us to be hooked. It’s a little harder to find the time to watch, when one of us can’t join in, so we tend to eat to the accompaniment of selected episodes of NCIS season 11. (What do you mean, conversations with dinner?) Last night we watched Olympus Has Fallen, which was more one-sided and bloody than even I had expected. Fine if you don’t mind a film that is nearly all about Gerard Butler. Personally I want more variety than that. Not all films are good enough to tempt you away from emptying the dishwasher. Last night I had a kitchen to prepare for workmen coming today, and I was already late for bed (i.e. dead tired), and I had lots to do. But I discovered that Daughter was watching Apollo 13 again. Not all of it, as she was simply channel surfing. And when I stuck my head in, there was perhaps ten minutes left. I sat down to watch. Obviously. You can’t ignore a film like Apollo 13. I just wished I hadn’t put the serviceable ‘napkins’ we’d used for the Indian takeaway in the laundry. Could have used something to mop tears with. I may have hinted at birthdays and stuff recently? I also hinted (towards Offspring) what I would like, should they be so very generous as to be buying me presents. One such hint was the complete From the Earth to the Moon DVD set, because I really am so nerdy that I need to watch it again. And with Daughter similarly afflicted, it seemed not unlikely that she would take the bait. Having been told not to miss episode two (since we did last year) the first thing (well, almost) I did on returning to Witch Towers was open my presents and to sit down and watch the first couple of programmes. The second episode was very sad, and I can remember it from the news back in 1967. There was some handholding required yesterday when the worst happened. We will now proceed to watch all the rest all over again. I like birthday presents when they are as right as this one. 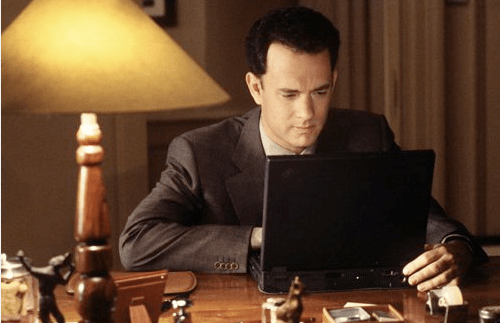 As I hinted, there were more Tom Hanks related things happening chez bookwitch last week. By pure chance I happened to notice that television had his series From the Earth to the Moon on late at night. They are broadcasting two episodes back-to-back so we missed the first two, but the remaining ten should be manageable. It was a bit of a marathon in front of the box, with more watchable things on a Wednesday night, but we are dedicated around here, so persevered. The first (i.e. the third) episode was the one about Apollo 7 and Walter Schirra, ably played by Mark Harmon. That’s what we call luck, getting here just in time for that particular episode. We also watched Apollo 8, which is about as far back as my real memory goes as regards the Apollo programme. For episodes five and six we were joined by the Resident IT Consultant, who seems to find space fun, too. Luckily Son and Dodo are people with real lives, so they were able to resist. It was the Lunar Module this week; the one on Apollo 9 and the Apollo 11 Eagle, which a few of you will have heard of. Nerds that we are, we are looking forward to the rest. And I’m certain that most of the actors have done a stint on NCIS at some point or other. I have an understandable fondness for the babies of 1956. It’s a most excellent year. Today it’s Tom Hanks’ turn for birthday cake. I was going to make scones later this afternoon, but I’m sure Tom will have cake. Possibly not with 53 candles, but you never know. I’d been planning to mention his birthday for a while, but I obviously had to wait for the right day. Interestingly I’ve had several Tom Hanksy moments leading up to today, so it’s the witchyness at work I expect. Just before midnight it got even witchier, but I’ll have to tell you about that another day. 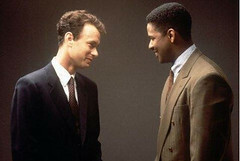 Daughter and I settled down to some Tom Hanks last night in the belief that Tom Hanks is always good. He was, and what a lesson in history Philadelphia turned out to be. It may have been as recent as 1993, but as far as Daughter was concerned it was the Dark Ages. Tom Hanks is gay, and has Aids, and is sacked from his job. I’m so old that this doesn’t surprise me one bit, wrong as it was. But it’s what things were like. Possibly still are, too often. I don’t know. But for today’s teenager this kind of behaviour proved unbelievably shocking. She cried less over his illness and death than over the unfairness of the system. I’ve never seen Tom Hanks so thin. Even when younger and slimmer, he always had some puppy roundness to him. He must have starved himself to look so skeletal, for the later stages of Aids. At times he didn’t look like Tom Hanks at all, which is an achievement. It’s an American film, so you can work out how it must end, and it does. But it’s still moving. Decided I haven’t seen Joanne Woodward in enough films. She was excellent. And Antonio Banderas was, too, and he had Tom’s lost puppy face. Interesting to find that a film I’d never heard of until I found it on television and taped it, could be so terrific. I don’t think I’d have got Daughter to watch, if it hadn’t been a Tom Hanks film, but in the end it was the film itself that caught her.